Hardly a classic, but Tullamore won’t mind too much, having banked their first league win of the season and 4 valuable log points. 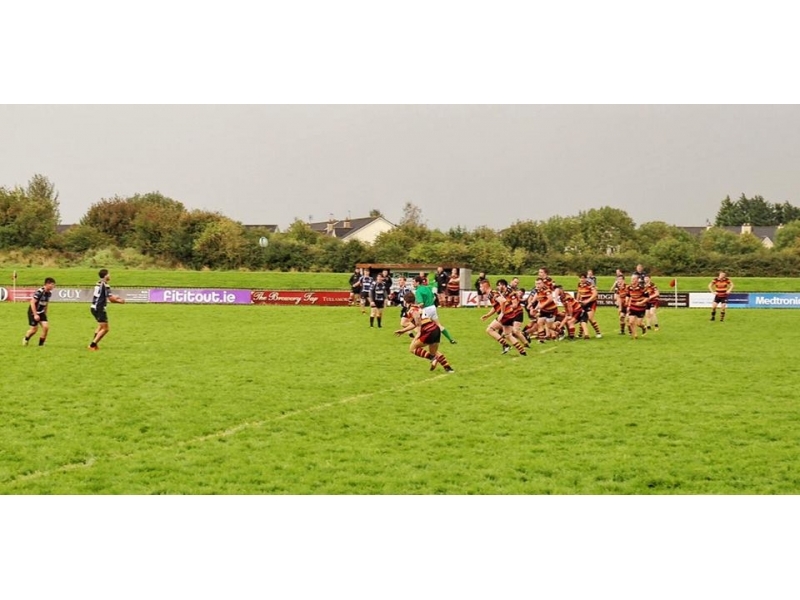 Weather conditions meant this was never going to be a try fest and the team that made the fewer mistakes stood the best chance of coming out on top, as it was, Tullamore were marginally the better side and just about deserved the win despite holding on to a late Sligo surge. 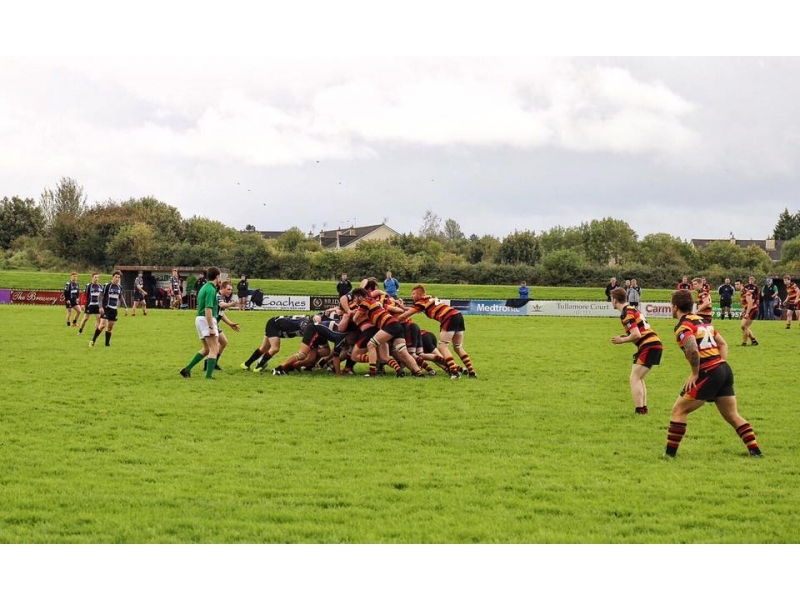 Having found things difficult up front against Seapoint last week, Tullamore were given a timely boost in the forward pack, where Ivor Deverell, Gavin Kelly and young flanker Colm Heffernan all made a return to the starting team, while Kevin Browne admirably deputised for the injured Cathal Feighery. The much needed physicality and ball carrying these few players brought to proceedings gave the Tullamore pack some real energy and they dominated the bigger Sligo pack from the outset. Young flanker Heffernan, freshly back after representing Munster U19 and Ireland U19 7’s over the past few months, was absolutely outstanding and deservedly claimed the Galvin Tullamore Menswear man of the match award. At 18 years of age, young Heffernan looks to have a huge future ahead of him. In the backline exciting centre Ben Ridgeway made his debut, while Aidan Wynne shifted into outhalf and gave another assured and quality display. 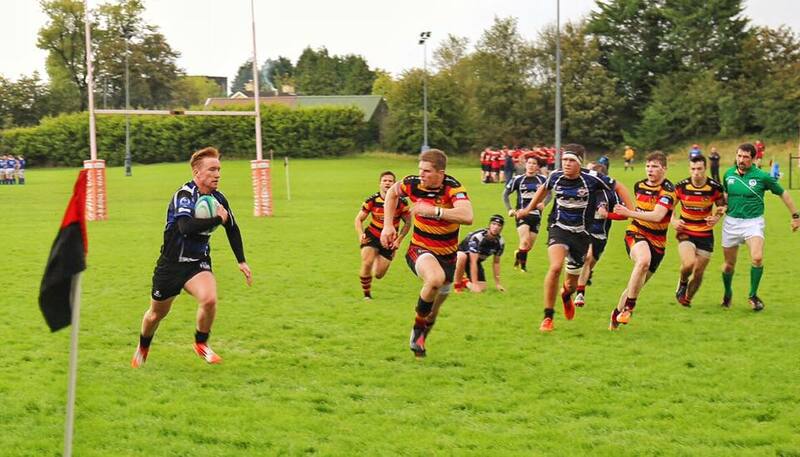 Young starlet Conor Dunne; freshly returned from representing leinster U19 and Ireland u19 7’s, made do with a place on the bench. Tullamore could not have made a worse start, as directly from the kick off, Tullamore gave away the softest of penalties for a ridiculously easy 3 pointer that Sligo were only too grateful to take. Rattled into action, Tullamore set out to their task and although conditions made handling difficult, Tullamore had some really good passages and the ball carrying of Gavin Kelly, Ger Molloy and Kevin Browne lead to Karl Dunne slotting a good penalty to level matters. 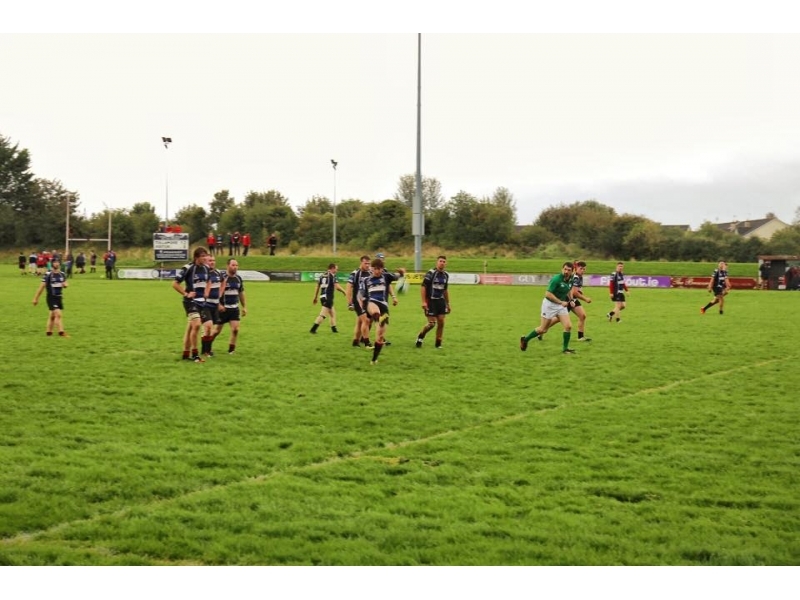 Despite Tullamore being on top, a loose clearance kick lead to Sligo exploiting a lazy Tullamore blind side defence and streak over for a soft 5 pointer, conversion missed, Tullamore trailed by 8 – 3 with 25 mins gone. Again this score rattled Tullamore back to life and after Heffernan, Wynne and Ridgeway made good yardage, the ever reliable boot of Dunne booted over a 3 pointer. 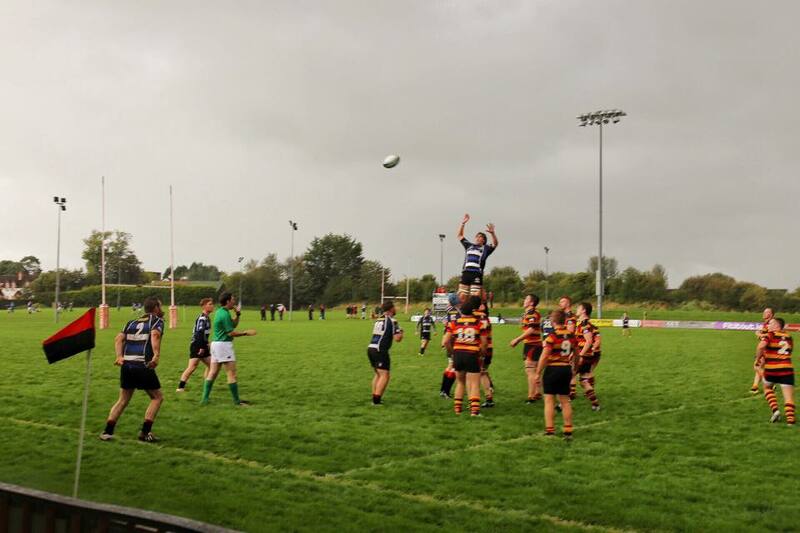 The Tullamore pack was now on top and after a series of scrums and lineout drives, Dunne was presented with another penalty chance which he duly knocked over to put Tullamore 9 - 8 ahead at the halfway stage. 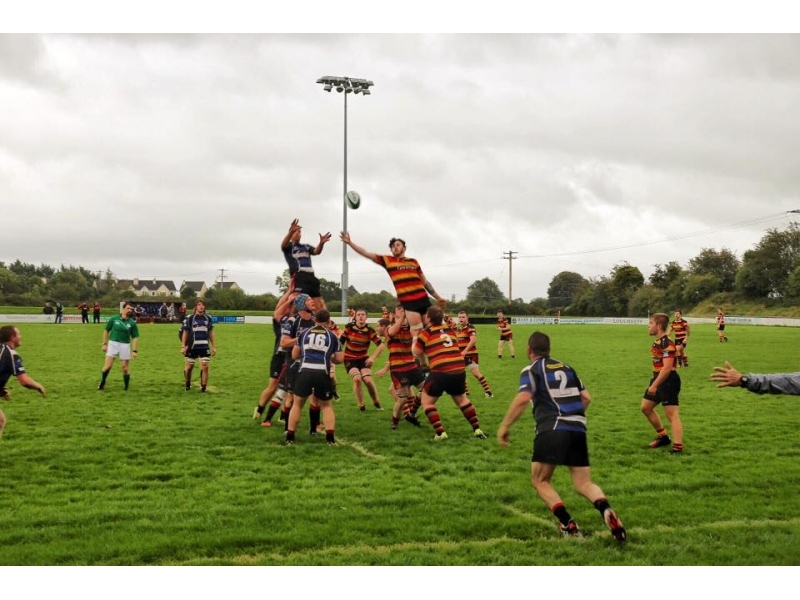 A week is a long time in rugby and Tullamore can take huge satisfaction from the way their scrum dominated after the difficulties encountered last week. A notable feature of the first half was returning No8 Gavin Kellys ball carrying and Colm Heffernans tackle count, badly missed over the last few weeks. 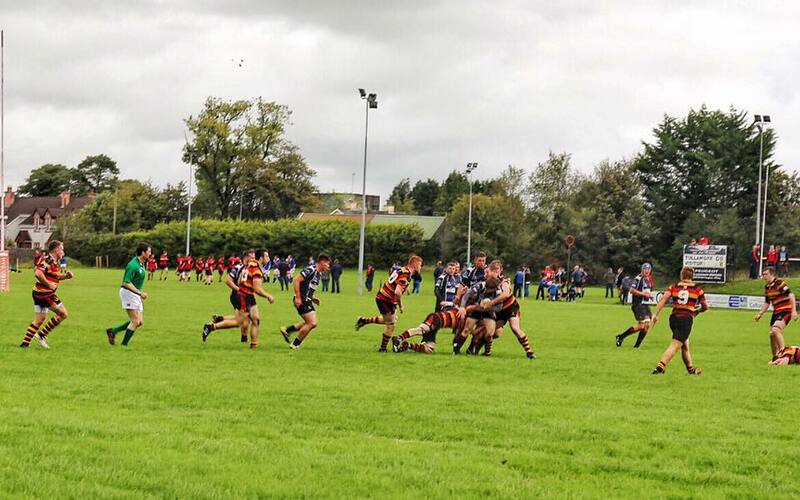 The 2nd half started out a frantic affair, with penalties, scrums and handling mistakes aplenty. Neither side could find much rhythm and although Tullamore were marginally the better side, they couldn’t find the killer blow despite having lots of territory in the Sligo half. 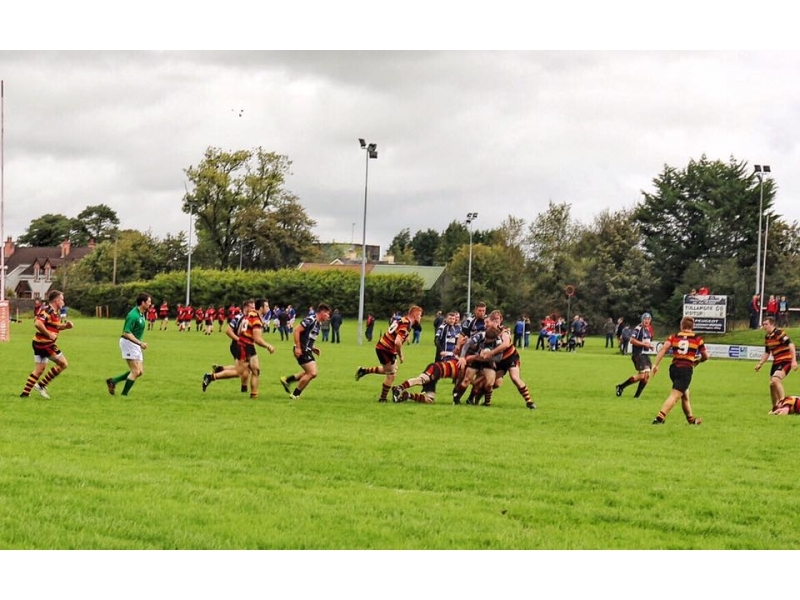 Kelso had a good surge up the sideline, the freshly introduced Conor Dunne linked with Ridgeway and Gilligan for one lovely phase of play, only for the ball to spill with the tryline beckoning. 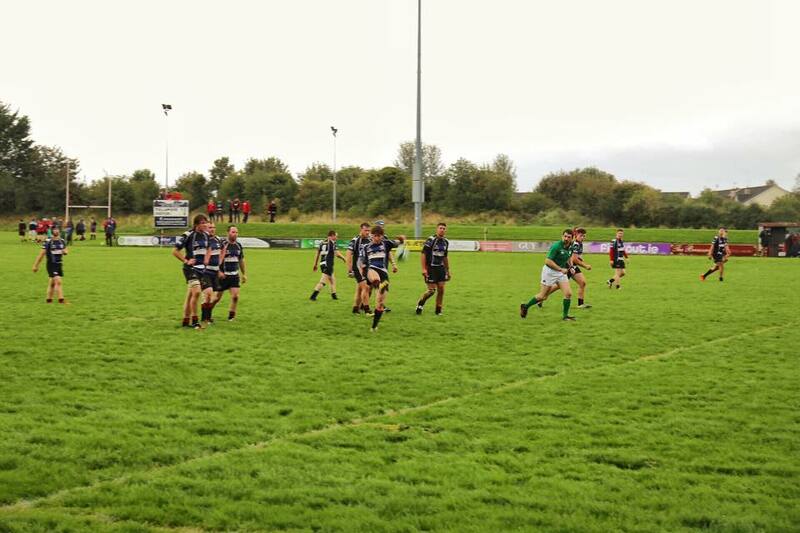 Karl did rifle over another excellent long range penalty and Tullamore had a 4 point buffer with 20 mins to play. Young scrumhalf Brian Gilligan was sinbinned for killing ruck ball, Sligo kept running and Tullamore had to withstand a late Sligo onslaught to see out the win. Kelly, Wynne, Ridgeway and Heffernan in particular, made some telling defensive plays to see out the result. As combinations continue to gel and some experienced old heads come back into the reckoning, Tullamore will improve. 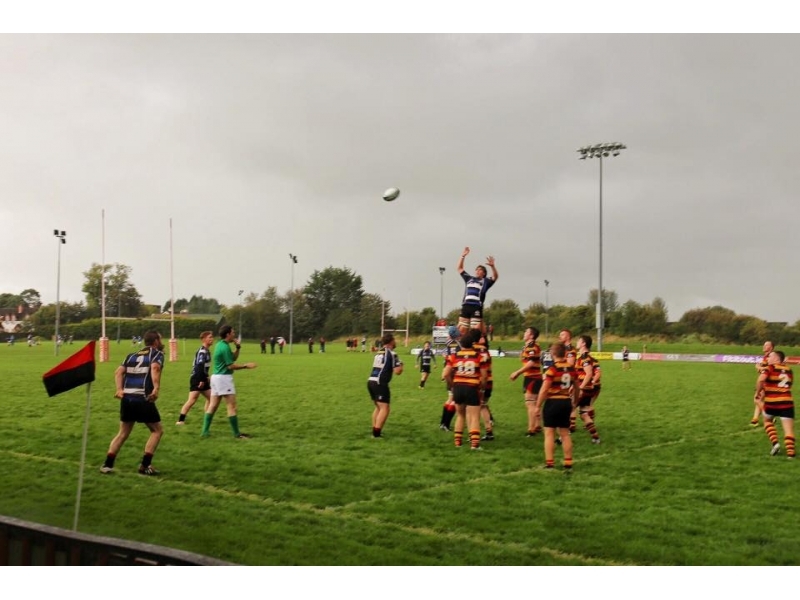 The talent is there and with each outing the youngsters are learning and if nothing else, Tullamore are developing some real strength in depth, a luxury they did not have in a few seasons. As the year rolls on, all bodies will be needed. 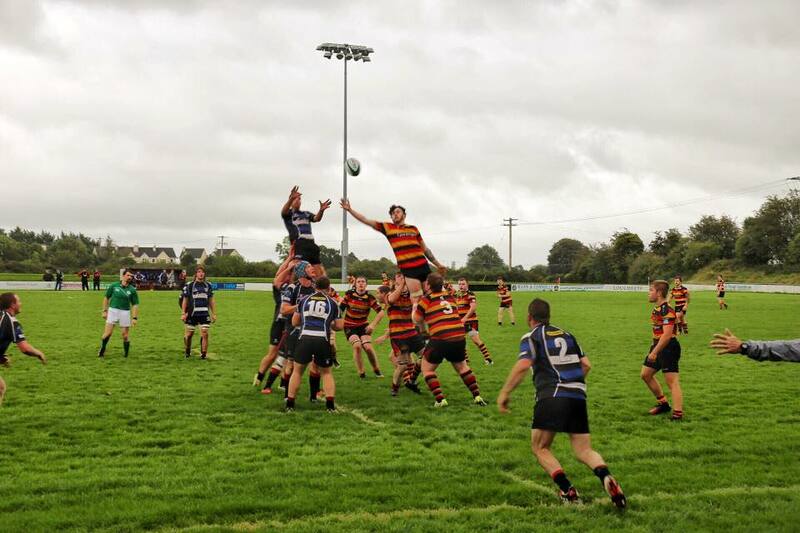 Next Friday Tullmore face a tricky and vital encounter away to a big Navan team. Both sides are level on the table after 2 fixtures so neither side can afford to slip up if they are to keep in touch with early pacesetters Middleton. K Dunne, S McCabe, T Gilligan, B Ridgeway, A Wynne, D Kelso, B Gilligan, G Kelly, R Connor (Capt), C Heffernan, I Deverell, L Martin, G Molloy, K Browne, E Bracken.